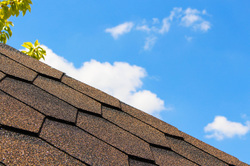 Roofing repairs are rarely something that a person budgets for, but they are inevitable in some form for every homeowner, whether your roof is a year old or 20. When this happens to you anywhere in the greater San Antonio area, call the expert Roofers in Alamo Heights. Our goal is to get all roofing repairs done right the first time and at very competitive prices. We want to earn your trust as your all-purpose roofing contractor with our unbeatable service and top-of-the-line materials. In many ways, your roof is to your home as your engine is to your car. The roof takes the brunt of the force from the elements and does most of the work to keep your house protected from Mother Nature. It is the first and last line of defense between keeping you and your belongings safe. And much like a car engine, it may need maintenance and repairs from time to time. We have plenty of powerful storms blow through our area, no matter the season. Whether you have a flat, low-sloped or pitched roof, the area’s extreme heat, hail, rain, and wind, can eventually cause problems. Whether a few shingles have blown off your home during a summer storm or a tree has punched a hole in your attic, we can handle any size job when it comes to roofing repairs. Leaks can cause damage to walls, circuits, carpets, floors, as well as personal items such as electronics, paintings, furniture, etc. Sometimes these leaks can be hidden, for example, even if you don’t see water dripping from your roof but start to notice stains on walls or ceilings, then there is a problem. 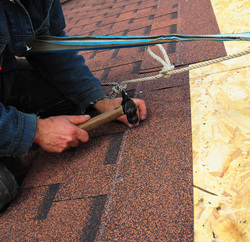 Roofing repairs should never be put off on your home if you have a problem. Let the trusted Alamo Heights Roofing Professionals handle the job for you. Whether it’s a full re-roof or replacement of a gutter, we are a full-service company when it comes to roofing repairs in the San Antonio Metro Area. 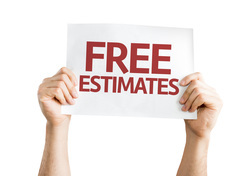 Call us today at (210) 446-5570 with any roofing repair questions or to schedule a free estimate on any of our services. Or, simply complete a request for quote here.